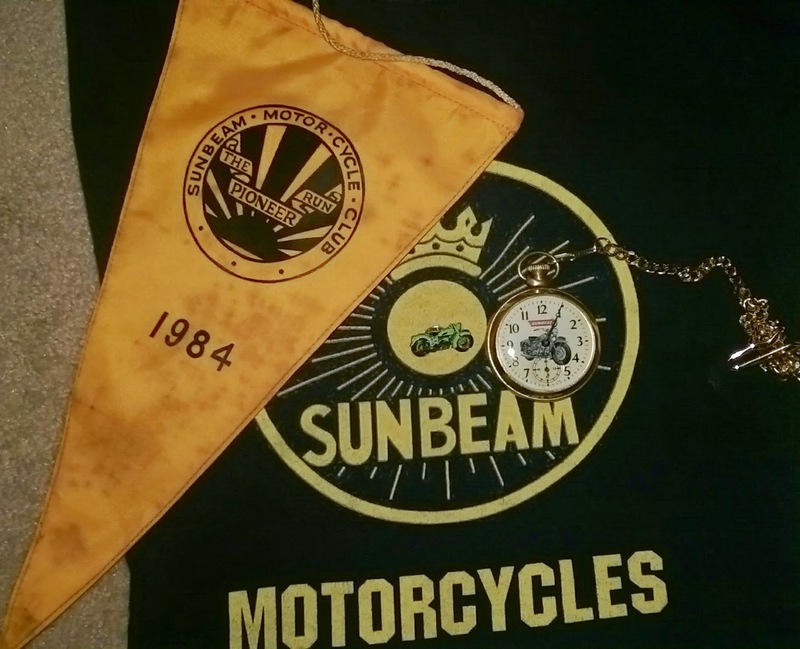 I try to snap up any Sunbeam cycle swag whenever I see it. Paper products are ok, but the condition is usually poor. Items like this are much more durable and can be enjoyed daily. The previous owner was kind enough to include the Pioneer Run pennant with the purchase of KYL95. I keep that hanging in my pool hall. 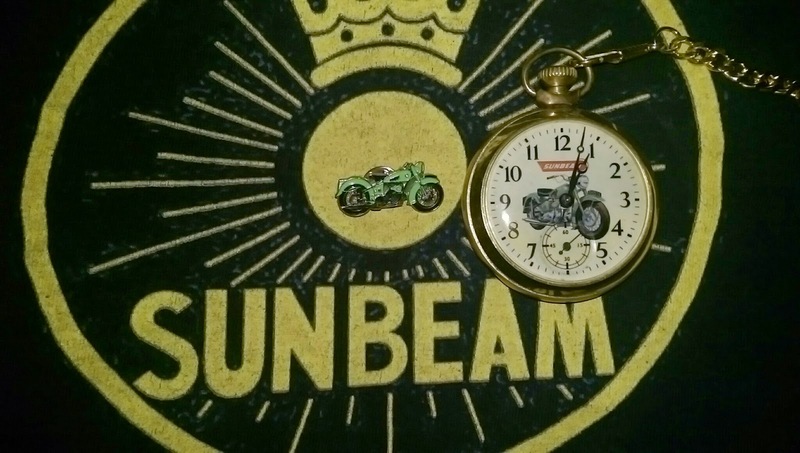 I picked up the pocket watch a year or so ago on eBay. (The crystal was missing, so I got it cheap. Replacement was a snap for an old instrument repair tech like me.) For a promotional item its hard to beat for uniqueness. The t-shirt was one of my own creations via an online printing company. Representing your brand is essential at any bike meet. The latest addition is the pin. Its relatively small, and the color is slightly off, but the detail is nice. If its not Norton, BSA, or Triumph its not something we see on this side-of-the-pond.